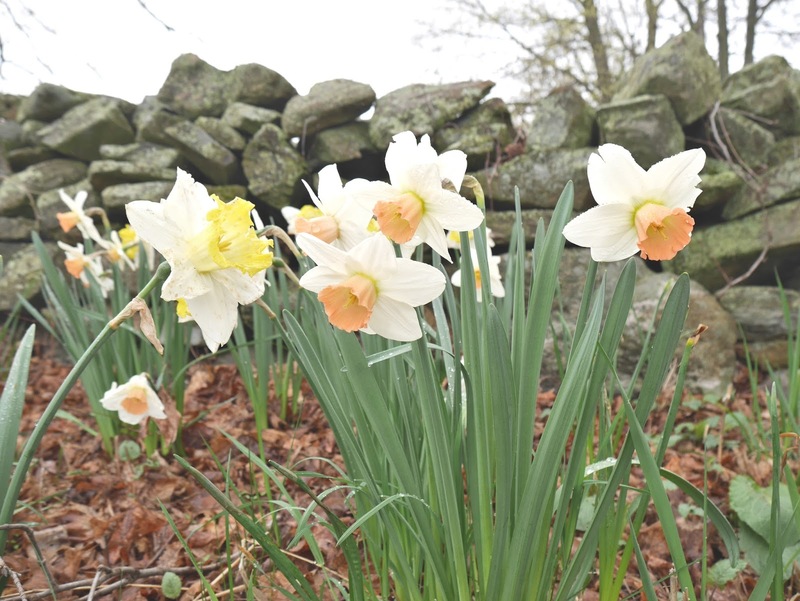 Here's the thing about spring in New England. It's the worst season to live here, and the least enjoyable time to visit. It's cold, damp, unpredictable, and hard impossible to dress for. Plus, it almost always lingers for far too long, dragging winter into summer and casting a grey pall over the landscape with its creeping fog and rain. People will pretend that spring is wonderful, because about once every three weeks, if you're lucky enough to be outdoors between 3:30 and 4:45, it gets almost warm enough to go without a jacket. These people are delusional, or selling you something. 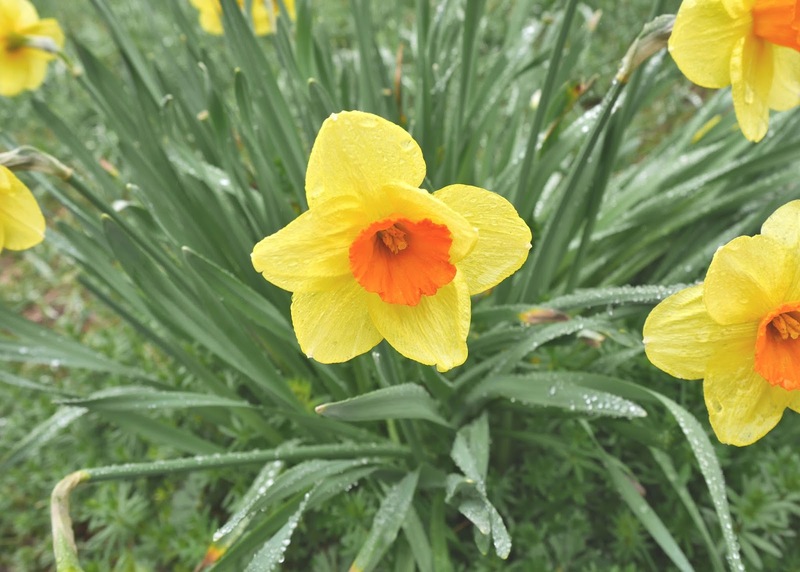 Unless you're five, and enjoy jumping in mud puddles, spring is miserable. However, every dark cloud that threatens to ruin your plans with a sudden downpour has a silver lining or two. 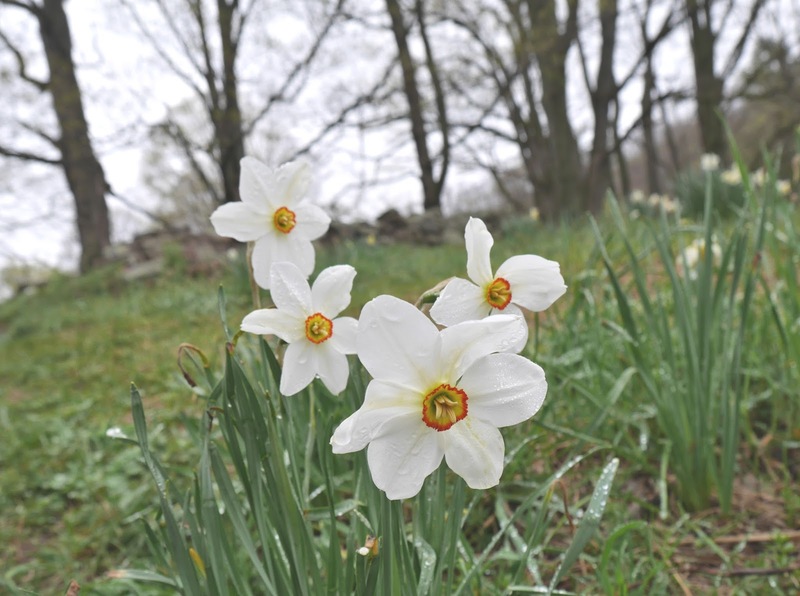 In the spring in Connecticut, one of these is the Litchfield Daffodils, a.k.a. 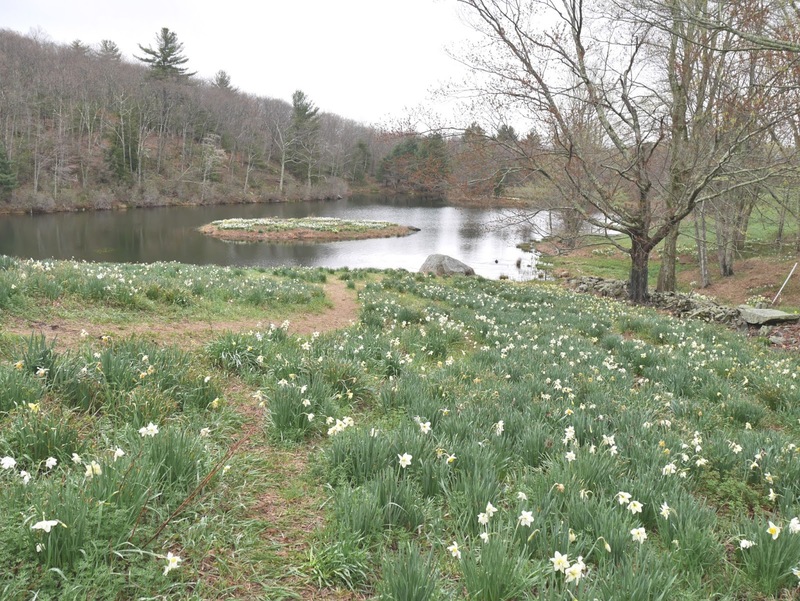 the Laurel Ridge Narcissus Plantings. 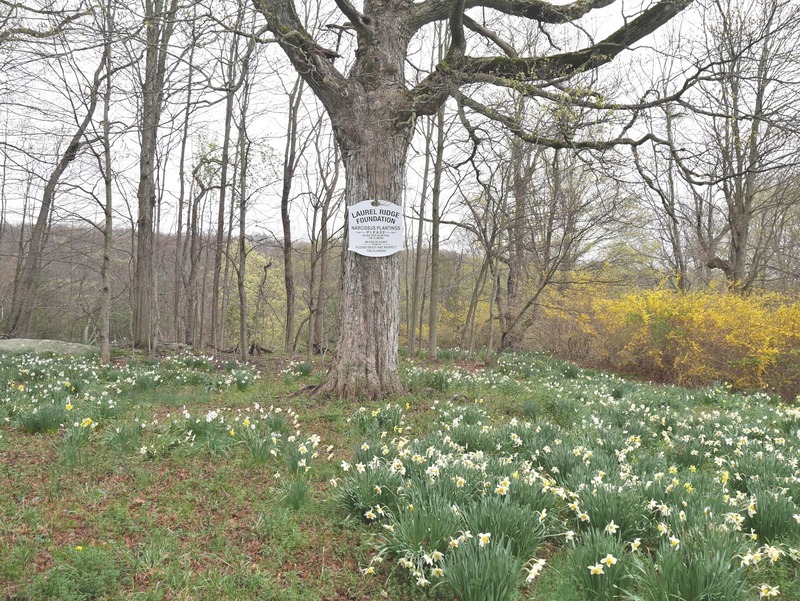 This roadside attraction comes alive every year in April and May. 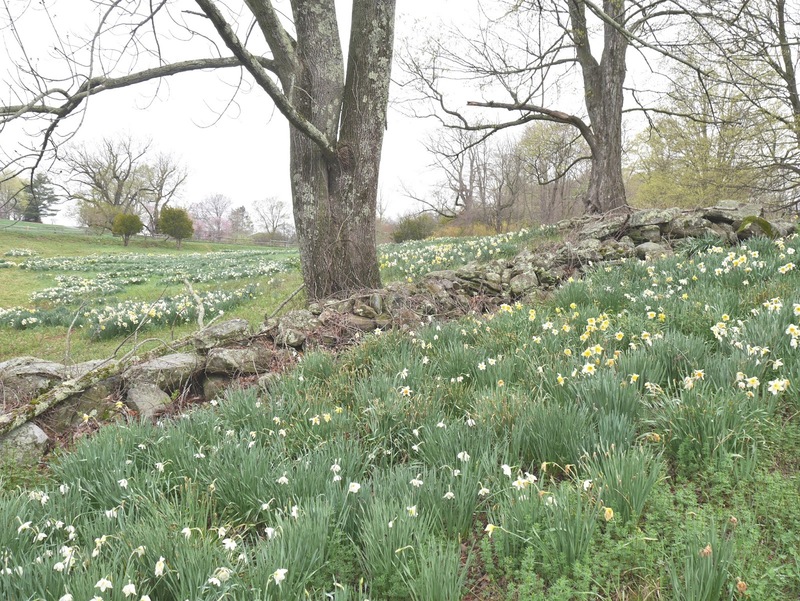 Since 1941, when Remy and Virginia Morosani first planted thousands of bulbs in their rocky pasture, the flowers have spread to cover fifteen acres of land. 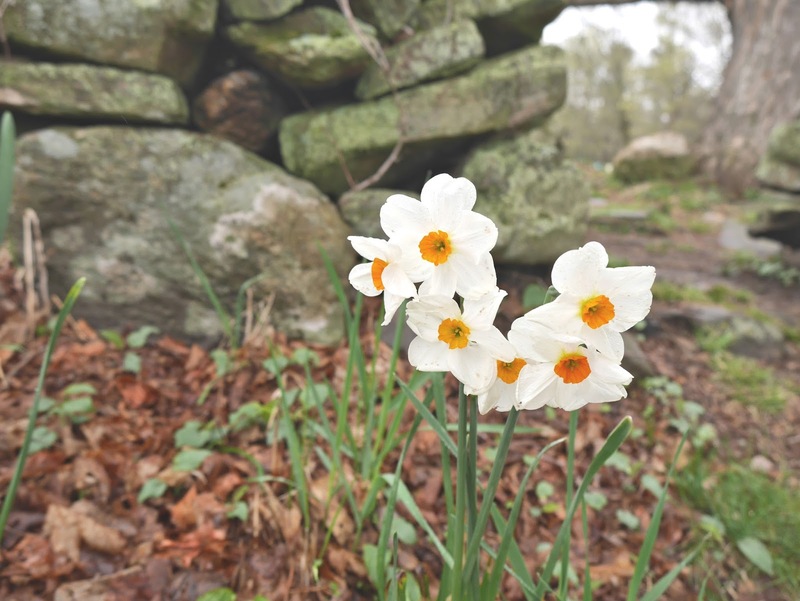 They range from bright yellow and orange to peach and delicate white, and they grow in clusters on the hillsides, in the little valleys, and on an island in the center of a pond. 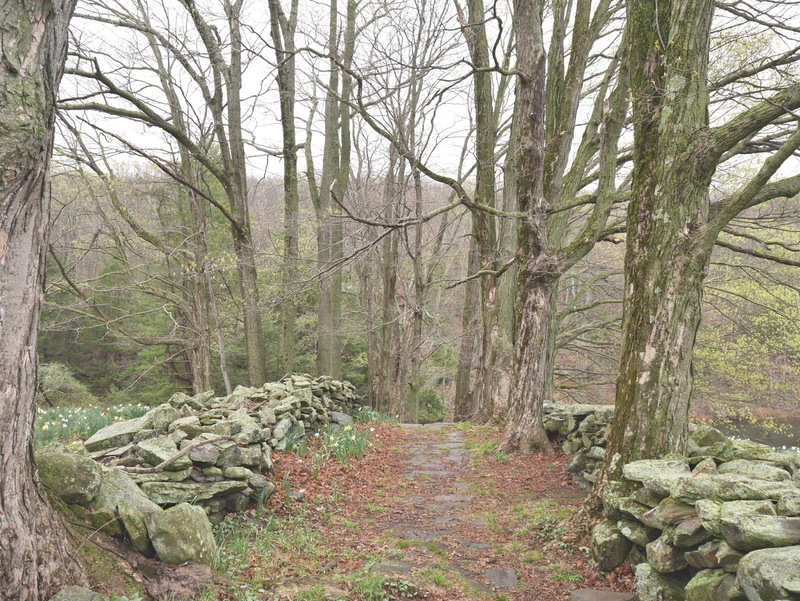 The overall effect is like the backdrop of a fairy tale set in that mythical New England springtime, where everything is warm and bright and new. 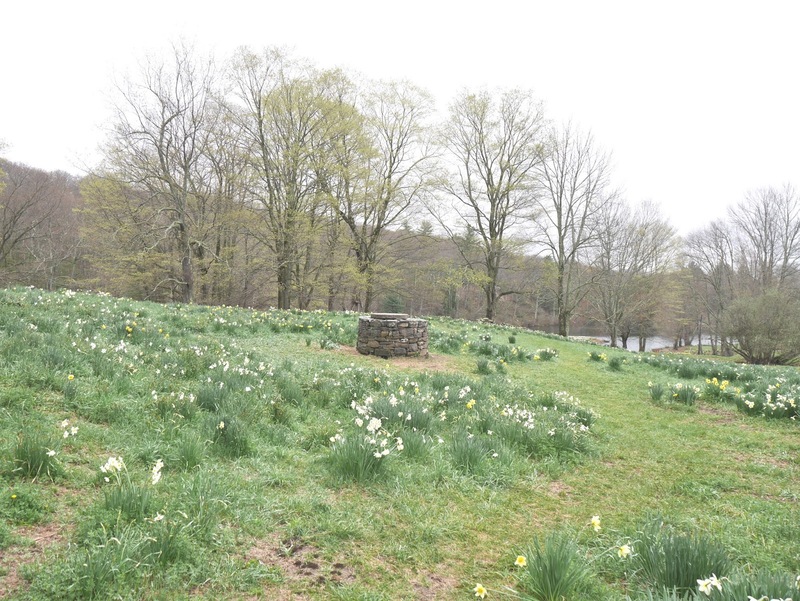 There is no fee to see the daffodils, and no parking lot. (Though there are rules.) This year, it seems the low-key attraction is becoming more popular than ever before, due either to increased marketing efforts or simply the undeniable Instagram appeal of this abundant display of nature. In a month or two, the weather will be livable for human beings again and I won't be shivering and covered in mud. (I hope.) But until then, I can at least be inspired by fleeting bursts of beauty, like these fragile blooms that somehow manage to thrive in this dispiriting season.